I work mostly on APIs. Writing APIs on many languages and different ways of interacting with each other. Currently at my work i write APIs in Ruby, PHP and Go. This is my current toolstack but sometimes i might use Rust for background processing or Elixir when needed. Oh yeah, Python. My favourite tool for working with data. For my work, we have many microservices and each has their own authentication endpoints. Which is bad and JWT Tokens cannot be used in every of those microservices since the JWT Secret is different. 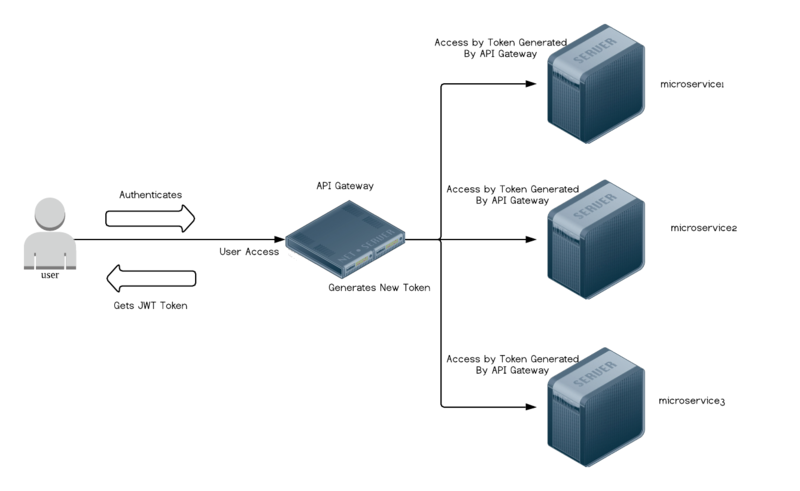 After looking around for solutions, in particular AuthN/AuthZ which i find to be really overkill and since i was looking for simplicity, i took a look at API Gateways. But almost all i saw was proprietry or opensource but-you-have-to-pay-if-you-use-it-commerically. So after reading Ben Church’s excellent tutorial about Reverse Proxy in Go, i modified parts of his code to suit my needs for an API Gateway. I had talked to Ben Church to license my modifications as MIT and he agreed to it. User will authenticate to API Vault. API Vault returns a JWT Token. User accesses a microservice via API Vault with their JWT Token. Does not do authorization. This should be handled by your microservice, although in theory i can implement it. But different microservices might have different authorization rules. So basically you need to authenticate to API Vault only once and access your services with just one token. And here’s another thing - your microservices can have different JWT Secrets and API Vault happily does the conversion for you. Another thing - no changes are needed for your current microservices to use API Vault. Just configure API Vault and API Vault will use the secrets from your microservices to generate it’s token to the microservice. Your microservices can be in a private network while APIVault is only one exposed to the public for the user. network. Even if your microservices is exposed to public, the user who had authenticated with APIVault cannot use the token given by APIVault to access those microservices endpoints. API Vault supports MySQL, PostgreSQL and Microsoft SQL. Supports Windows 7 (32 or 64 bit), Windows 8 and Windows 10. Why i still use VIM for most of my coding needs? Well, i started off as a system administrator and for most of the time i would shell into the server and run my favorite editor. While the overhead of vi over network was good, i started to write code on my local machine in C using vi. Many years later, i still use a variant of vi called vim. But okay, enough for the history as to how i got to use vim. Vim to be is flexible as i can write in PHP, Ruby, Python, Node and Go with vim flawlessly supporting the languages the needs of coding in almost every language i want to write it without purchasing an editor for each language. The only exception of the product IntelliJ had created that i use as an IDE - Android Studio (no choice, dude, it’s Java) and there isn’t an option to help me write Java code well. (even so, i hated Android Studio, especially when it suggests a wrong UI variable, for example). You have absolutely no choice but to use an IDE in Java to be honest. I could use Sublime, but i still have problems getting the hang of it. Or maybe TextMate (it’s clean and nice but it is macOS only - i do use Linux as my workstation at times when i don’t have a Mac). Maybe i will use Sublime for my primary editor but i still love having to work on a terminal because of it’s flexibility. Most of the information on Grape gem (Ruby) is very limited and they do not show you how to structure your API versions. But some of you would probably ask me, “Why use Grape gem when you have the new rails-api integration with Rails 5”? As far as a understood, if you want to use rails-api (the gem, not the`baked in rails 5 –api flag) with a server-side render so you have both an API and WebApp running as a monilithic app. But i prefer grape gem as it is more flexible (AFAIK) and has a great community. Create a file called api.rb in the api directory. In the future, if you figured you want to have a second version (ie. V2), you can directly mount the new API with new V2 code. Now, at the v1 directory, we will have base.rb which is the root where you specity all your API endpoints for V1. You can mount as many endpoints as you wish, but i am adding one only for demonstration. That’s it! You can try the good old curl to test it out! In this part 2 of Fat Models and Skinny Controller vs Separation of Concern, i am going to focus more on getting code from “fat models” to concern. For example, for omniauth-facebook with login gem Devise. In a “fat model” configuration, the business logic code sits in the model, like below, naming the method by adding self. to from_omniauth. So you would access this method (usually in the controller) by User.from_omniauth as the code is in the User class (model). To move this code to the concern you will have to add a new file, in this example in models/concerns/omniauth.rb. You will need module Omniauth with extend ActiveSupport::Concern to extend the model, and you will need to add the business logic code in module ClassMethods and removing self..
while in the model the code is refactored to include only one line which is include Omniauth. You can still call User.from_omniauth from the controller as normal and now we had moved from having “fat models” setup to concerns. I started with Rails 3.2.13 and during this days, the rails community had recommended making the Rails Controller skinny (with only request code) and making the model fat which includes the business logic. In Rails 4.1, “concerns” was introduced to separate out the business logic from controller or model and concerns helps you to build application based on the single responsibility principle. I did not pay attention to concerns until recently where i had a lot of business logic in my model. So i had been doing a lot of refactoring of the code for a job listing site. Bad innit? Code in the controller? Do note include JobsQuery which Rails will autoload based on the concerns filename in the path based on Ruby On Rails convention. Looks short and sweet, innit? I do search about myself on search engine but a few days back i started googling “Muhammad Nuzaihan FreeBSD” (you are not likely to find it with just “Muhammad Nuzaihan”) and found my old blog at https://polycompute.wordpress.com/2014/07/ and discovered a really important picture of where i was in early 2000s. 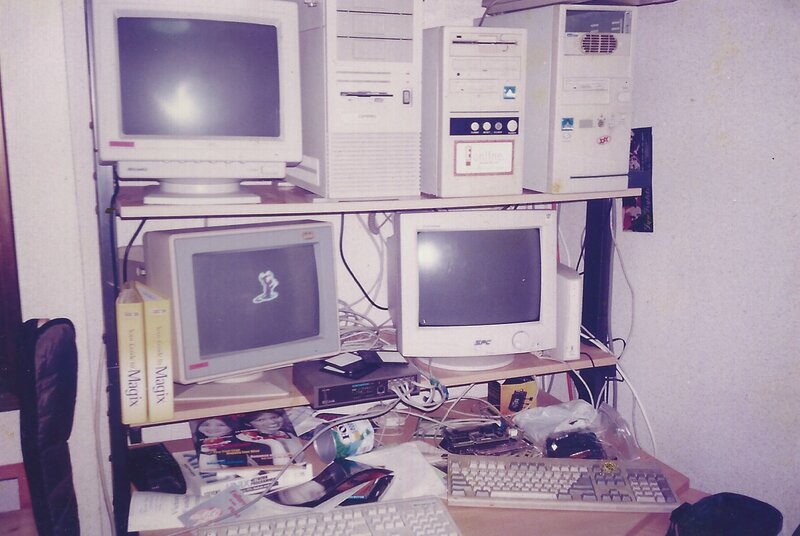 Here is the glorified image of me running (from right), FreeBSD on Intel Pentium as webserver, OpenBSD on a 486-DX2-66 as a mail server (because of the advanced anti-spamming feature they had with OpenBSD’s SPAMD/PF and NetBSD on 486-DX2-66 as a mere testing server. I could host all those stuff below on a static IP which my ISP provides then (the now defunct Singtel Magix). Polyglot programming is the understanding and knowledge of a wide range and paradigms of programming. I had been enjoying writing code in Ruby, Python, NodeJS, GoLang and PHP and while doing so i am exposed to certain conditions when writing any of the languages. Even though i had been a fan of C programming for many years which limits my scope more into systems development, it was in the recent years (circa 2011-2012), i had been exploring with Ruby and it was enjoyable for a person who just started into Web Development. With Ruby, i used Ruby On Rails framework (which i still use today to prototype - fast enough to make an MVP, or Minimum-Viable Product). Differences in the languages helped me to be flexible in solving a problem with the paradigms it shows and apply to any other languages besides the language i am working on. For example, while working with Python, we use try and catch a lot to make errors more forgiving. I learned Python after dabbling with Ruby and i applied what i learned in Python with Python’s equivalent of try and catch with Ruby’s own begin and except. In other applications where we required to re-engineer a monolithic application to micro-services, i knew i had to scale the code that collects analytics data with GoLang and once we could not scale our PHP reporting app, so i rewrite it in Python. I had been using Python for generating reports using Pandas python library which was quick! GoLang is the language that i enjoy writing most because i came from a C language background and i loved performance and that Golang had concurrency as a first-class citizen. I had been dabbling with Haskell for a while but while i liked a language that is pure functional the lazy evaluation (have you even ran out of memory?) and having no-side effects is what i loved most but i couldn’t apply it in production and it remains as a more hobby language for me and Haskell is good when you are learning functional language. After 15 years as a systems and network engineer (yes, network as well) with not much software development knowledge but now, it makes me more flexible in taking development roles and make it possible to architecture the infrastructure at the lowest level. Sometimes you have to be more pragmatic in allowing yourself to take different approches when developing software, knowing that you can write the same code in the language you can only work on with less time and even lines of code to achieve the same result. In cases where the failure of the database is not acceptable, there are ways to protect the data from database failures, especially for Single-point of failure in a scenario is where there is only one database server running. MySQL has a lot of options on having a failover and load balancing setup from MySQL cluster, MySQL master-slave setup with MySQL router or even using a lower level load balance with Linux Virtual Server (which is a Load balancer and Fail-Over router using VRRP protocol) and MySQL master-master setup. MySQL Cluster is intended for large MySQL installations (ie. a server farm with 10-20 MySQL servers) which is too redundant for our installation and MySQL Master-Slave setup can only have one write (usually Master only) and one read (Slaves only). Our choice is to use Master-Master MySQL and Linux Virtual Server (LVS/KeepaliveD) design is to allow writes to any Master (eg. 2 Master MySQL server). The Web application can write to any one of the Master MySQL server but we needed to know and redirect connections to either one Master MySQL server when it is down or having high load. This is where LVS (KeepaliveD) comes in. KeepaliveD is a LVS ‘router’ software which keeps track of the health of the real servers (this case the Master MySQL servers) and redirects the MySQL client connection from the Web application to either one of the MySQL server. If in event where any of the MySQL server fails when KeepaliveD runs the health check, it will be removed from the KeepaliveD internal routing and redirect to the other MySQL Master server. KeepaliveD keeps a floating IP (also called a Virtual IP) which the Web application connects to and KeepaliveD redirects the connection to either MySQL Server. Assuming we have two KeepaliveD router where one is MASTER and one is BACKUP sharing this Virtual IP where if one KeepaliveD router fails (eg. MASTER), the other KeepaliveD instance (eg. BACKUP) will take over the Virtual IP where the Web application is connecting to. NOTE: In this post there are two types of Master, MySQL Master and LVS MASTER. Then in the MySQL console, add a new grant for replication. Edit /etc/mysql/mysql.cnf in the new MySQL Server with the following under [mysqld] and save the file. Restart the MySQL on the New server. Take note of the File and Position of the above command in the NEW MySQL Server. We will need two servers (each can be low spec server with 2 Cores and at least 2GB RAM) which will be used for network high-availability and load balancing. Change the IP in the configuration according to your infrastructure setup! In this final setup, we will configure the Web app to use KeepaliveD’s Virtual IP (192.168.1.30) and create some firewall rules on both the MySQL DATABASE SERVER, NOT LVS SERVER. Make sure that either MySQL servers are shut down safely (eg. shutdown –h now) and do not perform a HARD shutdown/reset as it will make the database out of sync with each other. We can now shutdown either one MySQL database or one of the LVS and the other will keep running. Sometimes, you will have to store cookie data and you would store it in JSON with JSON.stringify. How would you parse out the cookie in JSON format back into a string separated by semicolons?